Stylish in design, innovative in form and function. Provides long term solutions to all users in all environments. Supports the 4 principle spine curves: cervical, thoracic, lumbar and pelvic. 4-way back support curves. 4-dimensional controls (seat angle, back angle, seat depth, back height). 4-dimensional adjustable arms (height, width, depth, angle). 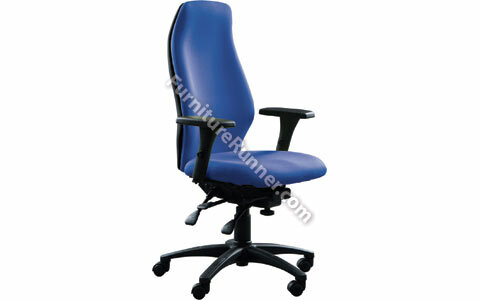 Inflatable lumbar, polished base and Aircare Plus available as an optional extra.